This morning I woke up to an added layer of stillness at The Lord’s Ranch. It is very peaceful usually but today there was a deeper sense of calm. The sun was not yet up so in the darkness I fumbled for the light switch to flick it on, and nothing happened. All remained dark. I grabbed my cell phone to use the flashlight feature and went out in the hall to try another light — nothing. The electricity was out. I peered through the curtain to see if there were any lights on in the other Ranch buildings, but all was shrouded with the same darkness. Using my phone’s flashlight, I headed out for our chapel. Even the sanctuary light, steady and red indicating the Lord’s presence in the Eucharist, was extinguished. I lit some candles and sat down. My thoughts took me back to yesterday, Christmas. Lights, sparkles, abundant food, gaily wrapped gifts, happy conversations, lively games — the atmosphere abuzz with energy and life. A stark contrast to the deep, dark quiet of this morning’s vigil. Next I thought about the first Christmas all those centuries ago in the cave in Bethlehem. Mary and Joseph had no electricity, no flashlights, maybe not even a lantern. How dark it must have been that night. But the darkness contained the Light of the World, disguised in their tiny, infant Son. 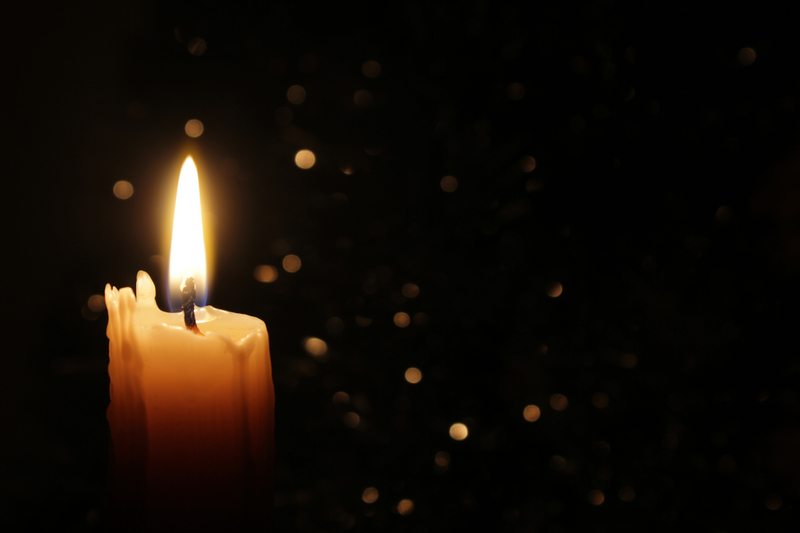 As the dust settles from all the hustle and bustle that this holiday season held (and still holds this week), try to take a moment to close your eyes, picture the dark cave, and sit a while with the baby Jesus in your arms. Let His peace permeate your heart, even just for a moment. Then take your little candle, rekindled from His Light, get back out there and shine on!